I got my Multidrive bay again! 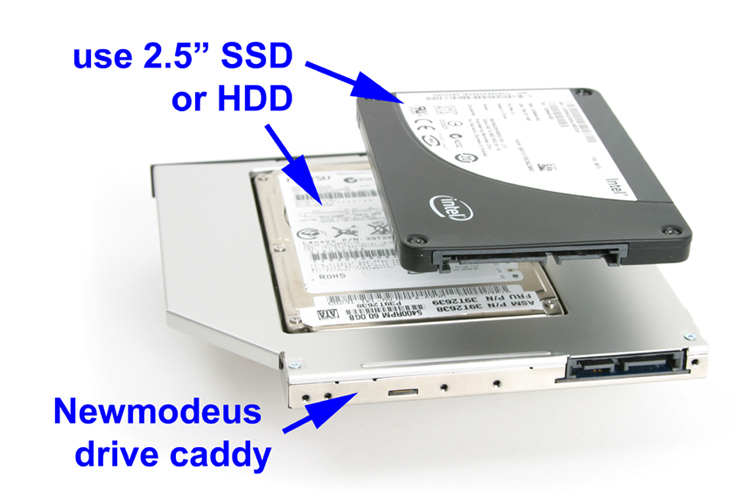 Had a Sony Vaio with Multidrive bay for CD/DVD and HDD bays Sony provided. Thought I lost that with my new Toshiba Qosmio as Toshiba does not provide HDD enclosure. Contacted NEWMODEUS with very specific tech questions. They answered all and indicated what I wanted to do would work. Ordered part and indeed, it works smoothly. I have three drives now, SSD in bay1, HDD in bay2, and backup HDD in ODHD caddy. I can still swap out ODHD for DVD caddy for those rare times I need a DVD. Great!